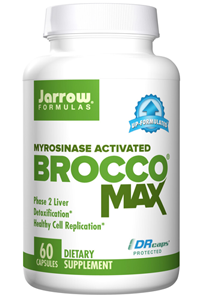 Jarrow Formulas BroccoMax contains a standardised amount of SGS (Sulforaphane Glucosinolate a.k.a. Glucoraphanin) and utilises a patented process that preserves myrosinase, the enzyme in broccoli that metabolizes SGS in the small intestine to the organosulfur isothiocyanate compound sulforaphane. Sulforaphane is a potent inducer of Phase 2 detoxifying enzymes and helps protect DNA. Detoxification enzymes activated by sulforaphane are active as antioxidants and free radical scavengers in tissues. 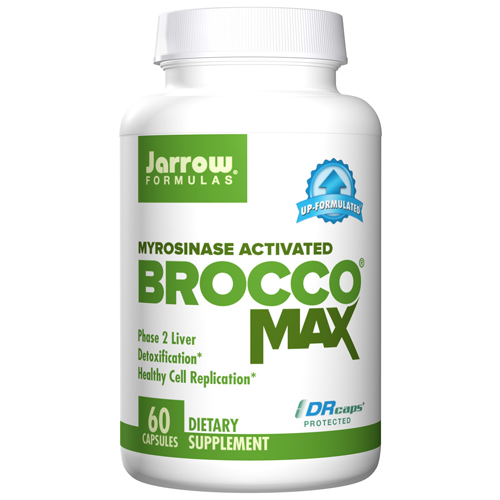 The ingredients of one BroccoMax delayed release capsule have been demonstrated in vitro to yield approximately 8mg of actual sulforaphane. Take 1 to 3 Delayed Release Capsules (DRcaps) per day with food, dividing the capsules evenly among meals or as directed by your qualified healthcare professional. Maltodextrin, silicon dioxide and calcium ascorbate. DRCaps consist of hydroxypropylmethylcellulose.